"EXPORT INITIATIVE MISSES THE TARGET: Obama’s five-year-old goal of doubling exports to more than $3 trillion by the end of 2014 has fallen short. Final figures due out in February are expected to be in the range of $2.3 trillion to $2.4 trillion. Exports grew under the NEI. That's fact. They didn't grow as much as targeted. That's also fact. And if oil, gas and Boeing planes are stripped out, the growth wasn't particularly significant. That despite a weak dollar (which made US exports relatively cheap in most target markets) and a lot of government programs seeking to assist SMBs. And flaws in the initiative have been noted as time passed. A GAO report was sharply critical in '13 and a similar report in '14 cited numerous inconsistencies. Empirically, therefore, it's obvious that the program struggled and ultimately failed. HOWEVER, there's also no doubt that the opportunity for SMBs is far better understood now. In my experience while SMBs used to say "No way! ", today they're far more likely to say something like "We've thought about it but there's too much risk." That's hardly an enthusiastic embrace of international sales growth opportunities...but it's indicative of a subtle and important change. Export is no longer anathema. Sure it's viewed with jaundice, and many myths prevail. But it's no longer an absolute, unjustified "no." In that sense the NEI was a tremendous success, and the yeoman's work of countless USEAC trade advisors has born fruit. It's easy to list a handful of legitimate concerns that SMBs have regarding export. Yet it's also noteworthy that companies which stumble into successful international sales growth often report in retrospect that those concerns are vastly overblown. FX, logistics and similar transactional issues don't determine success or failure. It's the bigger, strategic questions. Which market first, for instance, can determine a program's ultimate success. Too many enthusiastic export initiatives have died on China's shores. Maybe 'full frontal assault' is the wrong approach. When a company executive sits down at an export session and gets a binder full of pamphlets and a morning's full of warnings about risk to avoid, they feel understandably overwhelmed. Setting out with the goal of picking, penetrating and succeeding in a market is too daunting. Instead, maybe an export insurgency is more appropriate. Companies that have very effective digital marketing not only harvest a huge number of international leads, but they automatically nurture them to either qualification or DIS-qualification before wasting sales rep time on them. It's also easy to compare sell cycles by market, profitability and a host of other important sales metrics. As companies start to accumulate and interpret that data, they no longer have to undertake a huge, hypothetical market research project. Nor do they have to check their gear carefully and leap with faith that it will work. Rather they can let the markets tell them where they can find success naturally. Even with a higher degree of confidence and some encouraging metrics, the whole process of launching internationally often intimidates companies busy with day-to-day business challenges. And this gradual approach can substantially lower the barriers. Are there complications to this approach? For sure. Will it be as effective, as quickly, as a perfectly executed proactive market entry? Probably not. Are the risks substantially reduced? Certainly. But those may not be the right questions. 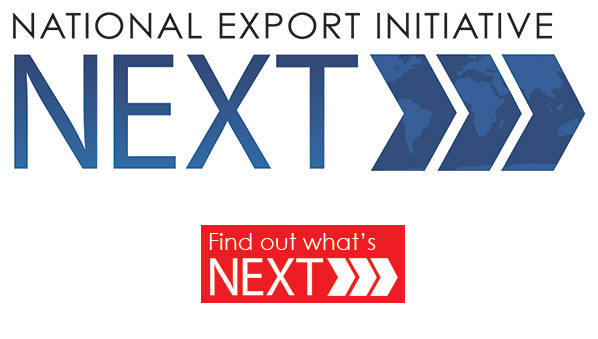 What we've learned from the NEI is that companies are aware of export opportunities, but the vast majority hesitate to chase them. So it's time to take a different tack. Instead of exhortations to take to the seas, let's help companies discover the magnitude and ease of international sales growth organically. That's the unique perspective that only an export AND digital marketing consultant can bring - and the key to broader global sales success for US SMBs. Markets are complex today and you need great strategic advice. Download our free whitepaper on market complexity for more detail.